We would like to remind the members that the John Lumsden Memorial Cup is taking place on Sunday August 5th. Peter Finnegan has prepared a piece on the history of the event which you can read below. The John Lumsden Memorial Cup is a 36 hole stroke play event and it is an Open Competition so please inform your friends who might be interested in an opportunity to play a singles event in Royal Dublin. The entry fee is €50 per non-member and €15 per member. The handicap limit is 9 and completed entry forms should be sent to info@theroyaldublingolfclub.com or dropped into the office by the closing date of Friday July 27th. The Lumsden Cup will take place on Sunday 5th August over the Royal Dublin Links at Dollymount, for the 91st time since its inauguration in 1926. The 36 hole event is an Open Competition for all golfers in the province of Leinster, with a handicap of 9 and under. 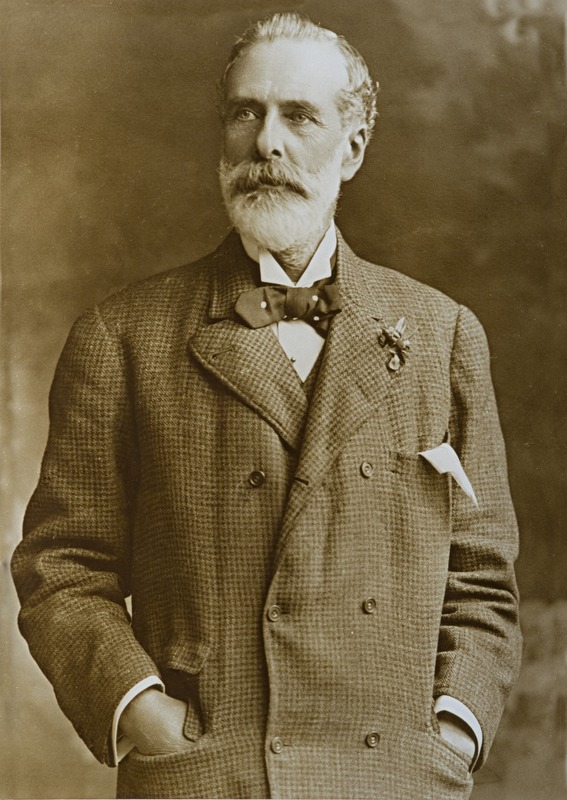 John Lumsden, a Scottish banker after whom the trophy is named was one the true pioneers of golf in Ireland. He was a vice president of The Golfing Union of Ireland and a founding member of The Royal Dublin Golf Club. He was tireless in promoting the game of golf and was always available to assist and advise in encouraging the spread of golf throughout the country. In 1926 The Leinster Branch instituted a competition under handicap for single figure members of Leinster Clubs and named it The John Lumsden Memorial Cup, to commemorate the memory of the man who had done so much to popularise the game of golf in the province of Leinster. The trophy was presented to the branch by his sons Sir John Lumsden and his brother Hugh to honour their father. The Leinster Branch invited Royal Dublin to host the inaugural playing of the Tournament and the winner J.G. Greene was a member of the host Club. It is the second oldest Leinster golf competition preceded only by the Barton Cup. The event has been played at many different venues throughout Leinster and has taken a number of forms over the years from a 54-Hole event, to a week-long matchplay event with a 36 hole final, to its current format a 36 hole strokeplay event, with the best nett score winning the Lumsden Cup and further prizes for best gross score, the best first round and second round scores. J.F. (Jack) McLoughlin of Royal Dublin won in 1929, he was a West of Ireland champion, whose sister Molly McLoughlin of Kingstown, later Lady Captain of Clontarf Golf Club, was Irish Ladies Close champion in 1926. Con Harnett of Hermitage famously defeated Joe Carr of Sutton in the 1951 final. International golfer and Irish Close champion G.H. Owens of Skerries won in 1934, uncle of former Royal Dublin professional Leonard Owens and later President of the Golfing Union of Ireland. A number of years ago the Leinster Branch invited the Committee of Royal Dublin to take over hosting the competition on a permanent basis, which Royal Dublin was very pleased to do. It is now run under the auspices of the Tournament Committee of Royal Dublin as an Open competition. The Lumsden Cup now has a permanent home at Dollymount but it still remains as envisaged by its original founders, a competition open to members of the golf clubs in Leinster. This is entirely appropriate and serves to remind all golfers of the debt of gratitude we owe to the vision and energy of golf pioneers such as John Lumsden. The current holder is Pat McGilloway of Hermitage Golf Club.